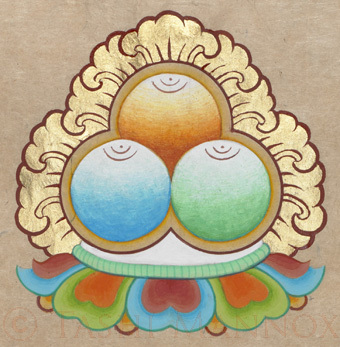 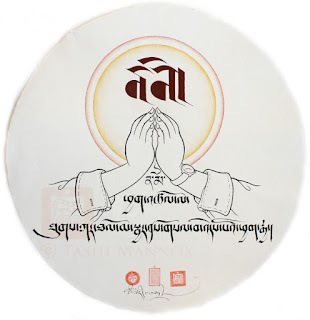 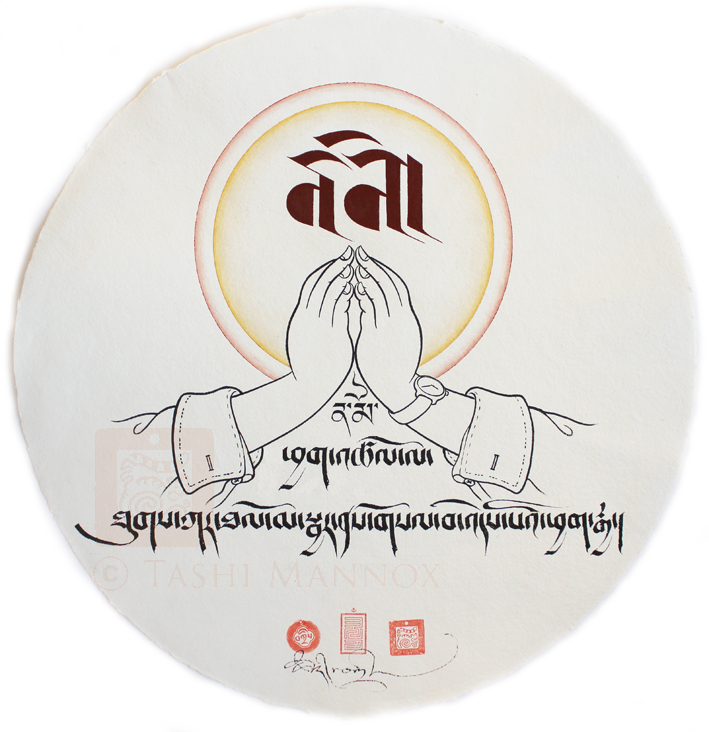 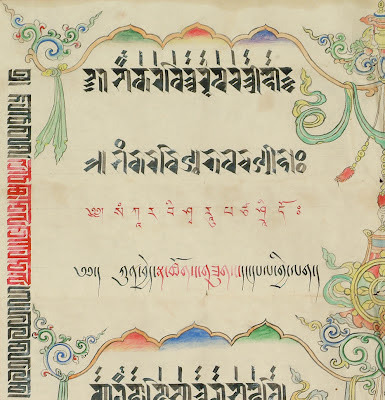 This delightful manuscript is a multi scriptural and colourful display which pays homage to His Holiness the 14th Dalai Lama bsten 'dzin rgya mtsho བསྟེན་འཛིན་རྒྱ་མཚོ། Perhaps dating from the midd 20th century, the scroll was written and presented by the monastic community at Dongrub Ling below the Himalayan town of Kalimpong, which was the last Indian trading post before Tibet on the historic silk route through to China. 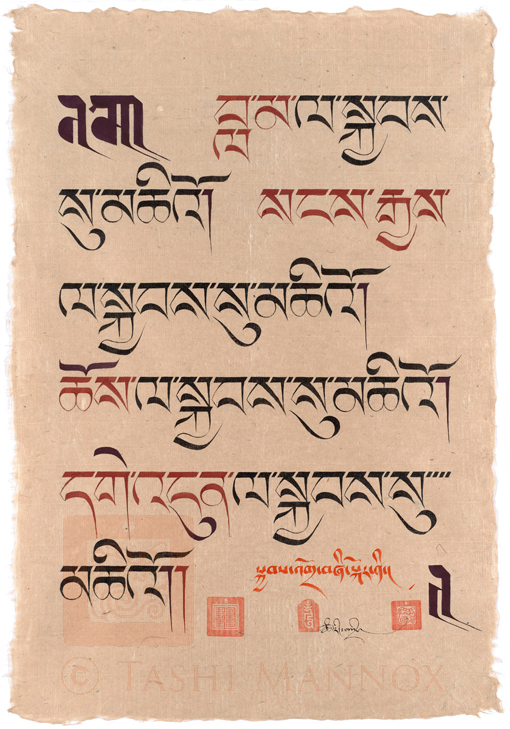 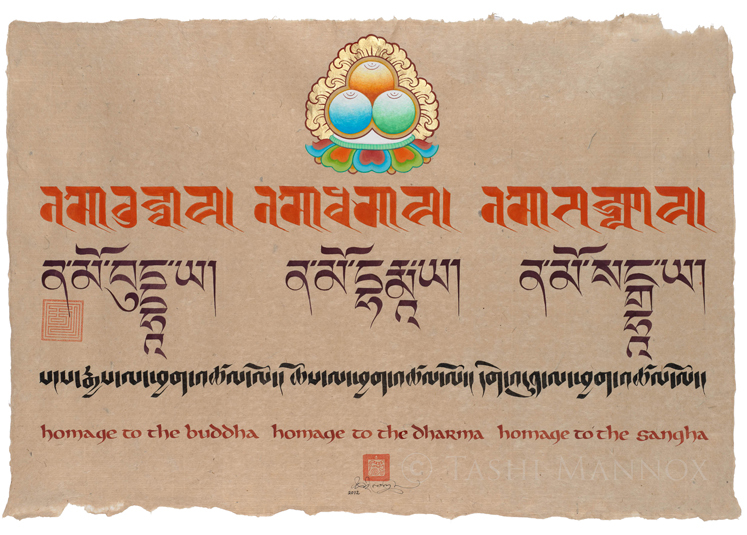 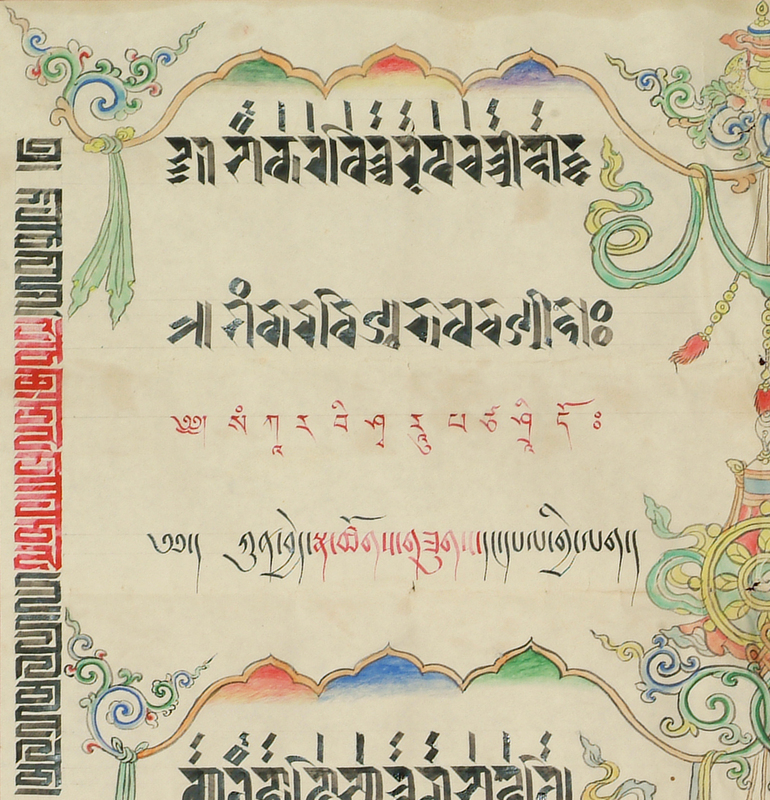 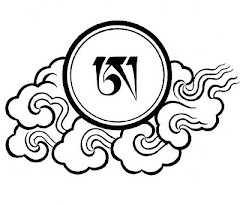 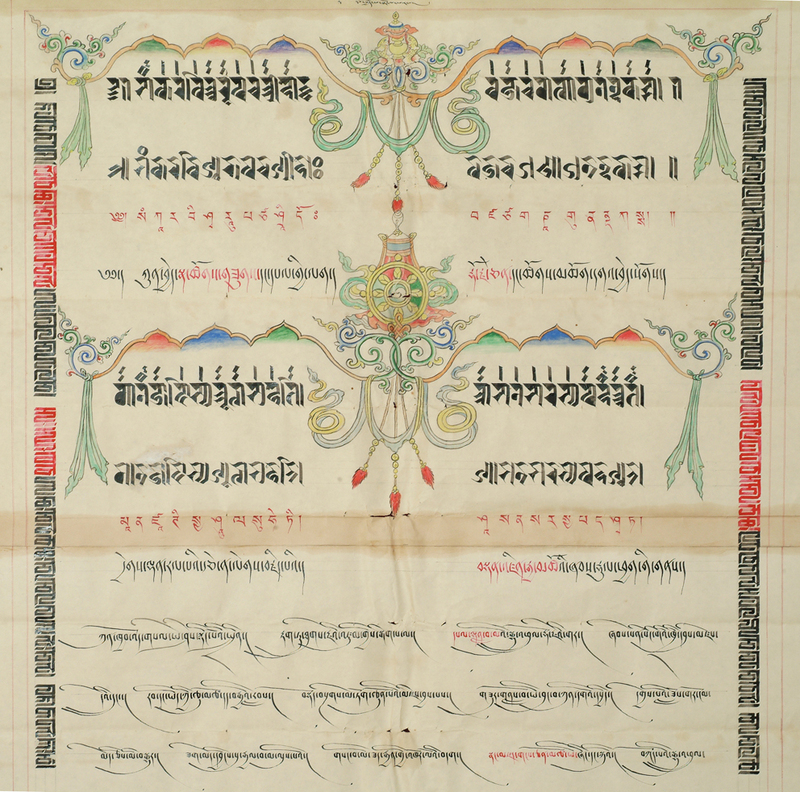 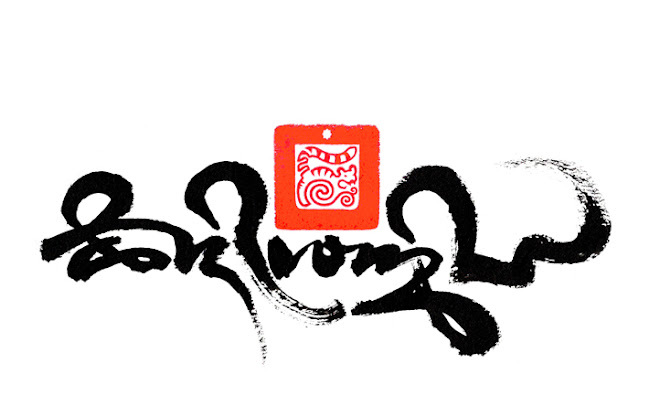 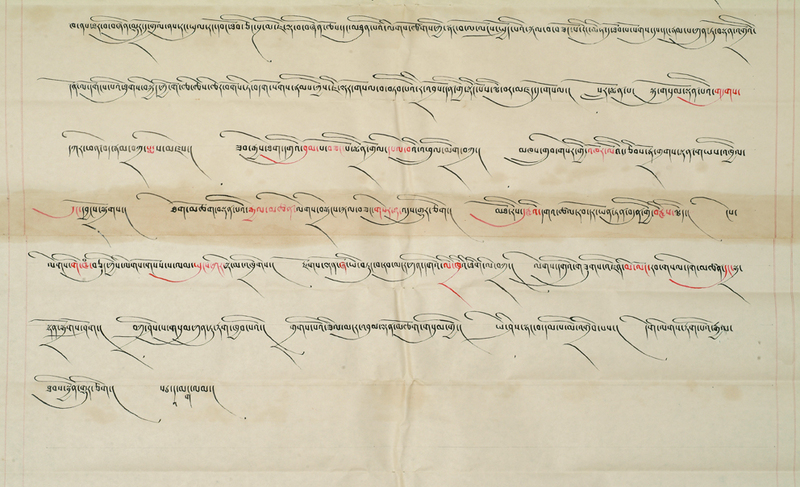 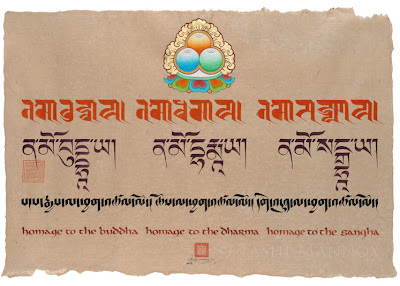 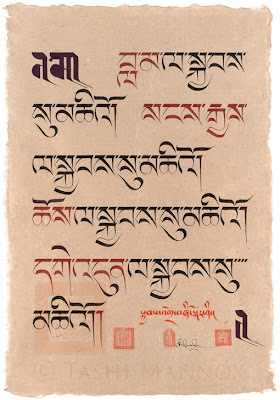 5. the vertical Horyig script that is translated from the Tibetan translation. 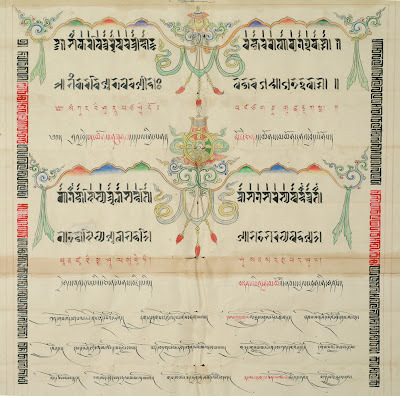 The above image shows the full length of the scroll that the majority script is an Umeh form called Tsugtung or Tsugmakhyug, a quicker hand writing style that is attractively uniformed with long flourished vowel signs. 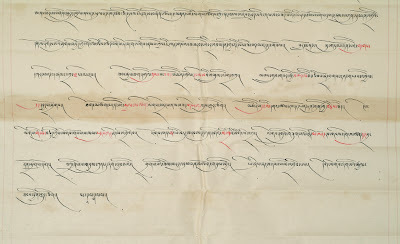 An enlarged detail of the end of the manuscript shows that certain key words have been inked in red, which is often used to highlight a name of even to string together a hidden sentence of significant meaning relating to the content of the document.